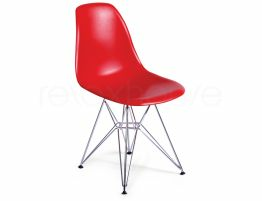 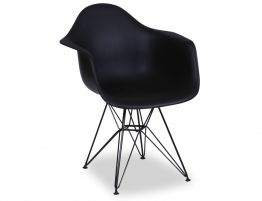 Bring a little piece of architectural design history into your modern space. 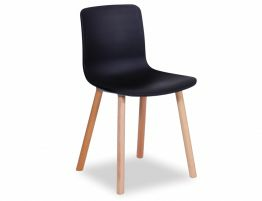 The sleek, modern and architectural look of this standout wire side chair is perfect for those who favour a modern, polished look. 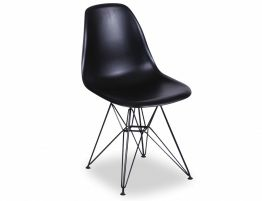 Our Moda Wire Chair - Black is an impeccably constructed, premium reproduction of the original Charles & Ray Eames masterpiece. 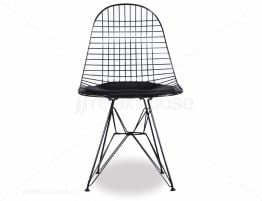 Our wire side chair is seen here in a black powder coated steel with a comfortable black seat pad. 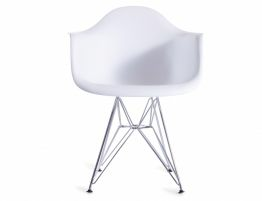 Our Wire Chair’s airy silhouette features a seat made of cross-woven wires and positioned on a bent-wire, welded base. 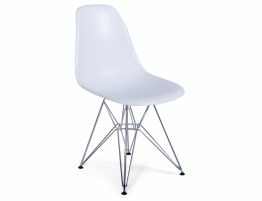 The open and airy mesh back makes this chair a visual masterpiece.